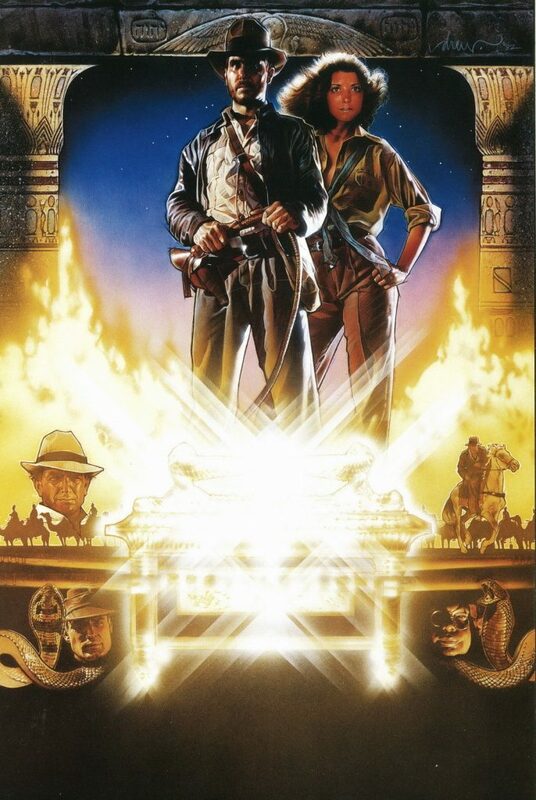 Drew Struzan’s contribution to the world of film and movie poster art is almost unmatched. He is more than just an amazing movie artist—he is one of the greatest artists, no matter the medium, to ever live. Struzan has created posters for the Star Wars franchise, the Harry Potter series and classic films like Shawshank Redemption. 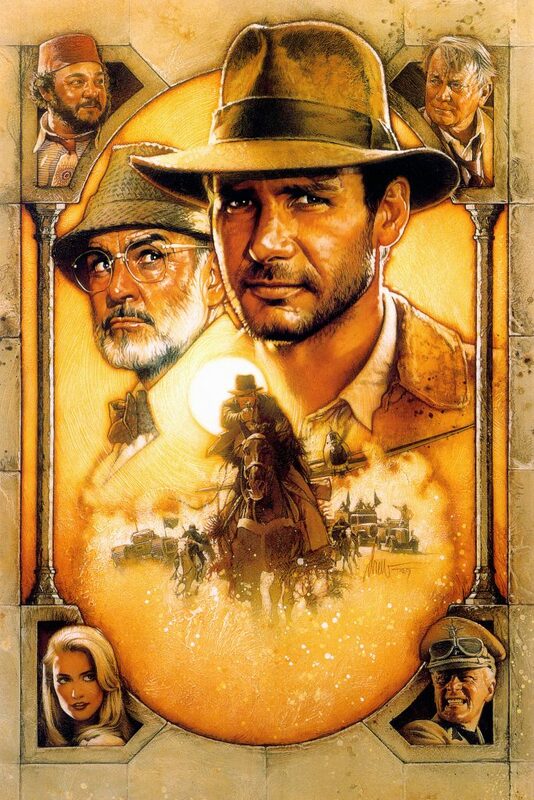 Drew Struzan has collaborated with Steven Spielberg on numerous memorable projects. 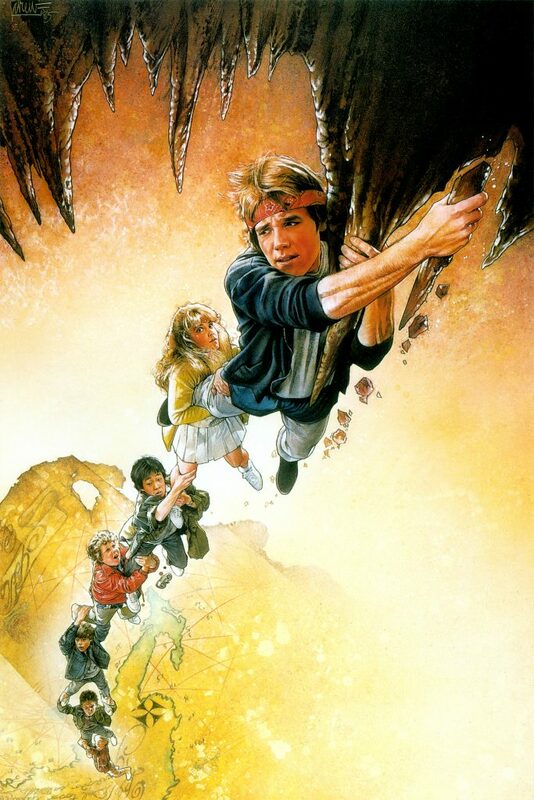 The long list includes the Indiana Jones films, the Back to the Future Trilogy and The Goonies. 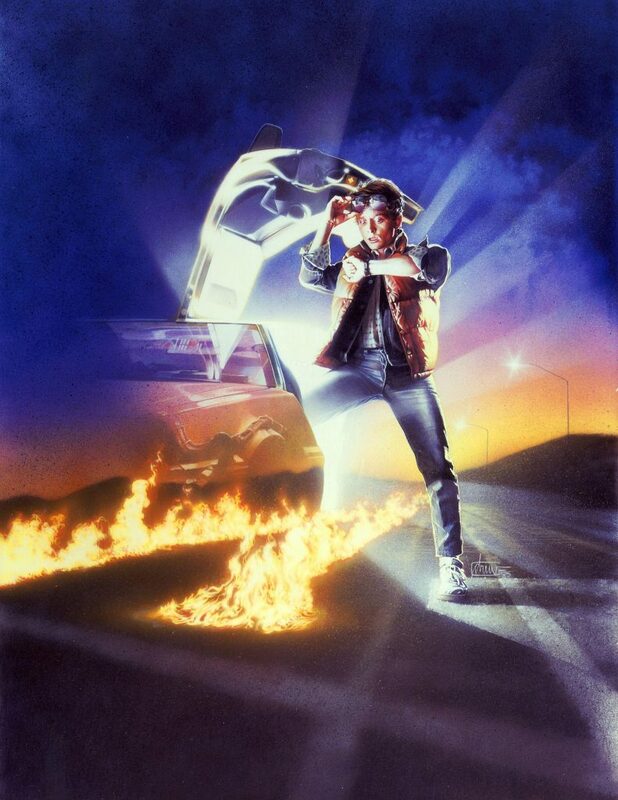 Sadly, Struzan’s illustration style of art isn’t something you see much anymore when it comes to film posters. 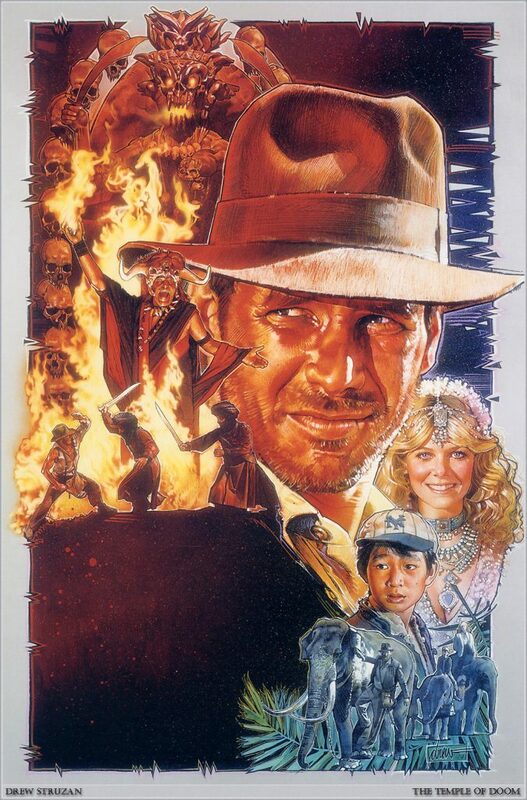 The rise of digitally created posters has made film fans appreciate the hand drawn art of Struzan even more today. 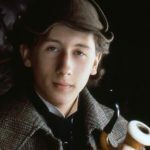 Drew Struzan currently considers himself to be retired from the film world. 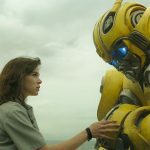 I spoke to the legendary artist about his art process, working with Steven Spielberg and his plans for the future. 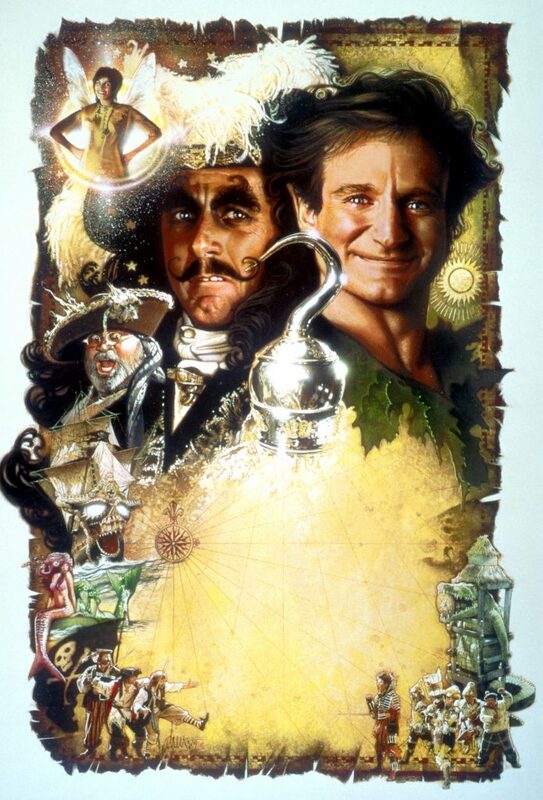 You were able to create a massive and impressive collection of film posters and art in your career. How were you able to work so quickly and effectively? Well, I don’t know how I was able to do it. I was pushed by deadlines…it is the movie business. You ask me, I do it. Deadlines push people. That’s how it was. If I am faster than others…maybe they are lazy (laughing). I have no idea. I have had jobs where they would call me at 9 in the morning and they would say, ‘We need it done by tomorrow morning.’ When I did the poster for The Thing…it took 24 hours from the phone call to delivering the final painting. Hook took weeks and weeks. Each one depends on their own deadlines and what the people want. You are doing a lot of appearances at conventions and a lot of interviews lately. Do you feel like you are more appreciated today than you were when you were working heavily in the industry in the 1980s & 1990s? I work alone in my studio and I stand in front of the board everyday. I never had any input from the studios or anyone saying, ‘Well done. Here is your prize.’ Lately, because I am doing the conventions, I see hundreds and hundreds of people a day and they tell me that I inspired them. That’s only just happened in the last year or so. Over time people have given me awards and things. A lot of people have enjoyed my work. I paint to make people happy. The people that commission me and the people who see my work around the world…if they are happy and inspired by it I have done my job. Do any of the accolades you have received over the years stand out? Do any have special meaning to you? Everyone from Steven Spielberg to George Lucas to Frank Darabont to Guillermo del Toro…they buy my originals and they hang them in their homes. They are all lovely people and they treat me so extremely well these days. I didn’t have a childhood, but now I have a wonderful adulthood. I am happy with them all. 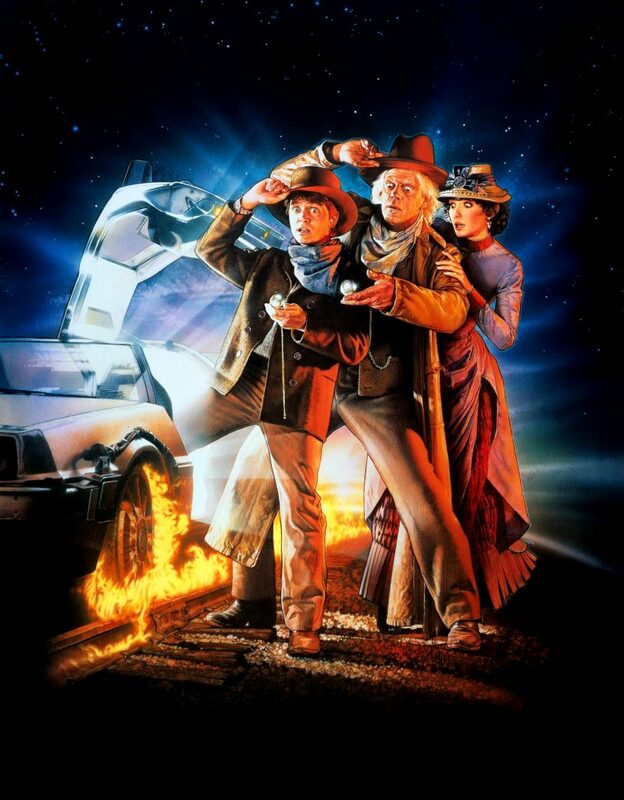 The three Back to the Future posters you created are my favorite pieces of movie art of all-time. 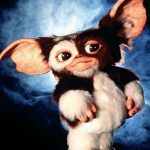 How did you come up with the theme and composition that is present in all of the trilogy’s posters? 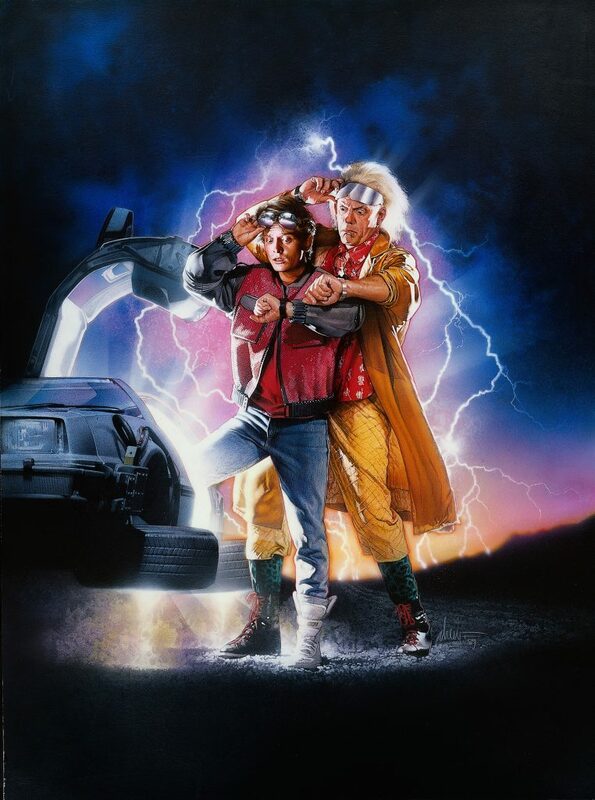 Once we had the idea for the first one (Back to the Future I poster), it was apparently so successful that they decided to try a couple more. 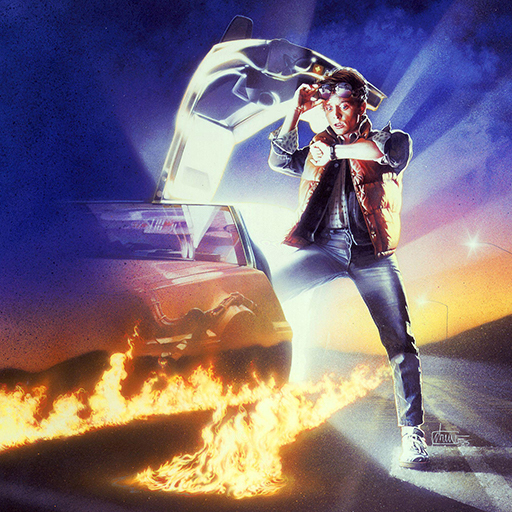 I did a lot of comprehensive ideas for number 2 (Back to the Future II poster) and they just couldn’t figure it out. 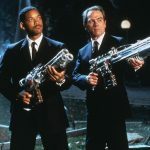 I said, ‘If number 1 had 1 guy in it lets put Chris (Christopher Lloyd) in number 2.’ We changed the costumes and everything, but why mess with a good thing if it was successful? We did it that way and it was obviously successful. Now, everybody is happy about two successful movies. ‘3 lets really do it cool.’ So they started making changes about what to do. ‘What should we put in this one?’ I did idea after idea after idea. I told them from day one, ‘If we did 1 with 1 guy, and 2 with 2 guys, well the 3rd is Mary Steenburgen of course. But, for some reason they just couldn’t do it. It was being printed as a different poster for 3 and then they said, ‘Well, maybe Mary would be the best for 3.’ So, I did the 3rd one with her and that’s what they went with. 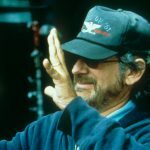 What is Steven Spielberg like as a collaborator? Steven has always been a delight. He’s a good man. He’s appreciative and respectful. We have gotten along just fine since E.T., when I started with him. We are still friends. We met a month ago or so and we had a nice long talk. All we did was remember the good old days. We have always been friends. I don’t get to hang with him because he is always so busy. I don’t run in his crowd because I have 2 dollars and he has 20 billion dollars (laughing). I stay home and paint pictures and he stays at Amblin and makes grand movies. 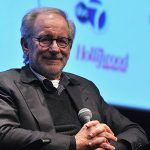 Do you have a favorite project that you worked on for Spielberg? 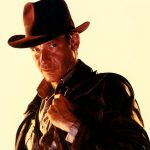 You posed as Indiana Jones for a lot of the artwork you created for the Indy films. Did you have to do anything special to get into the right mindset to pull off a realistic Harrison Ford pose? I wouldn’t say that. We designed the concept for the poster. You work from photography from the making of the film. A lot of time the poses I came up with weren’t in the film. I needed to get a model to double as Harrison. The model that I could afford was me (laughing). I had the spirit of Indy because I was working on Indy. I would do a bunch of poses until I would get the right photograph that would work for the art. I talked to Harrison and once he said, ‘Thanks for the body.’ He realized it wasn’t him, but no one else ever did. Harrison is so delightful. A kind person. There are a lot of young artists working today that you inspired. How does it make you feel to know that so many young artists look up to you and your work? I know a lot of the guys that are inspired by me or…imitating me…however you want to put it. That’s how all artists work. We are all inspired by the previous masters. We learn from them. That’s what I did. All the best artists that ever lived learned from others. That’s what I am doing for the artists that are coming after me. I am pleased that I can be a part of their lives the way artists were a part of my life. It is the natural way artists learn, work and participate in life. I know a lot of them and I am happy for them. I watch them as they get better and move on. I love it. I am glad to see these people got something from me. That’s why I am alive—to make the world a better place. I know that you are currently retired from the film world. Are you still creating art for yourself? Well, I paint differently now. I paint for myself. For my own inspiration. I have always done that, whenever I didn’t have a deadline I would pick up the paint and pencils and do something that pleases me. Now, I am just going to do that full time. I am not inspired by movies anymore. The things I love inspire me. I have never shown those publicly before. I am just now showing some of my own personally motivated fine art. People are responding well to it. I haven’t done it in 50 years. But, now I am going to paint what I want.